Owen returned from 1 of his UK trips with a new kitchen gadget. It is a ISI Whip (gas pressurized squirty can that uses nitrous oxide – the Dentist laughing gas). 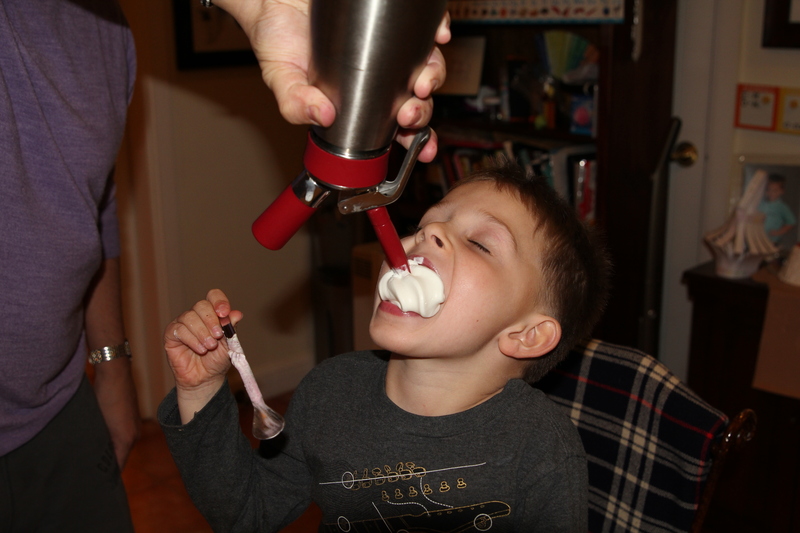 It is wonderful for making whipped cream in a can within seconds, which is loads of fun for the kids. 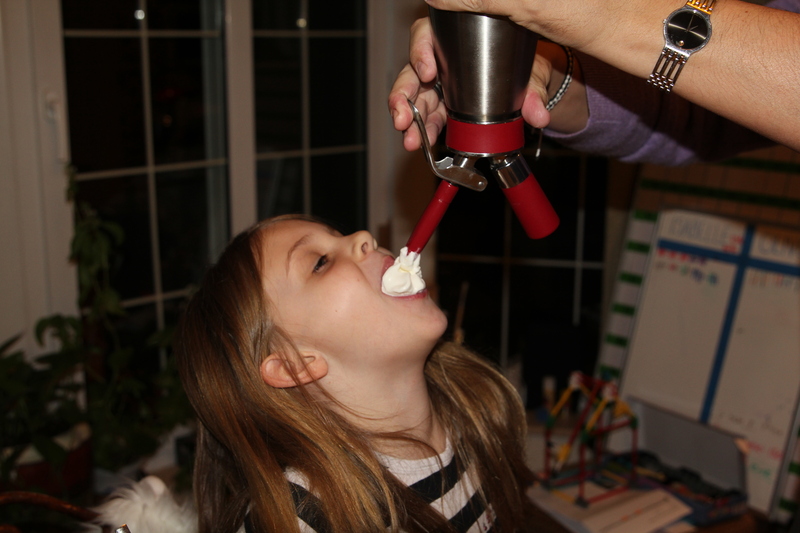 Isabelle getting her mouth filled with whipped cream. Owen had really enjoyed experimenting with his new gadget. This meant that we had soooooo much whipped cream. What better way to use it up but to create a good old fashioned cream pie and then test it on the kids! Neither of them thought that Owen would actually do it, which makes the end result even more hilarious. I cannot remember when I laughed so much. The video clip is 33 seconds long. 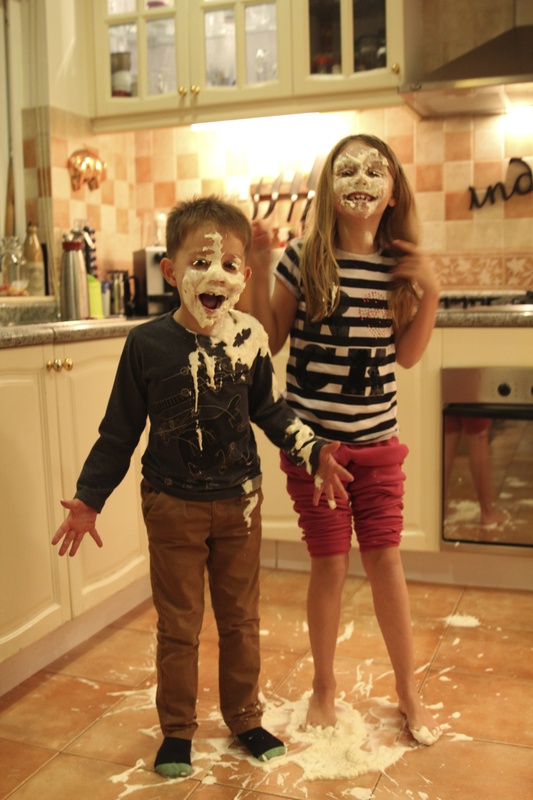 Oliver – still in shock that Daddy actually put a cream pie in his face! Isabelle couldn’t believe that Daddy then rubbed it in even more in her hair!! Tetley had fun on clean up duty!! This entry was posted in Uncategorized and tagged Cream Pie, Kids, Owen. Bookmark the permalink.